Vampire: The Masquerade exploded into hobby games in 1991 and inspired a generation of fans which the game industry had never seen before or since. This book is for all of the White Wolf fans who have lived, loved, and taken the long road with us for the past two decades. This is Masquerade in all its glory. An updating of the classic rules from Vampire: The Masquerade – Revised Edition. This book contains all thirteen original clans, clan variants and bloodlines, with their signature Disciplines. It also has rules for character creation and advancement from neonate to Methuselah, as well as all the Discipline powers from level one through nine. 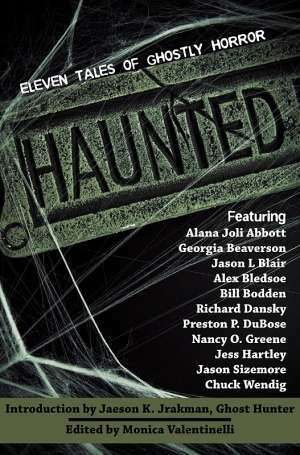 The book also features new full color art by Tim Bradstreet and other classic Masquerade artists. Gary, IN. It has been years since the War for Chicago, and nearby Gary, Indiana has been impacted by the changes. Things are heating up just as a new coterie comes onto the scene. How will the balance of power shift in the coming nights? This is a brand-new Storytelling Adventure System story written by White Wolf specifically for the Wrecking Crew’s use at the Grand Masquerade, using Vampire 20th Anniversary rules. It will later be released as a PDF for sale through DriveThruRPG.com. Away from the eyes of mortals, vampires gather, nursing eternal grudges and burning for eternal love. A select few humans become part of this night world, bridges between the living and the damned. Can they resist the passion they have for each other, or must they defy the customs of living and dead alike? Strange, Dead Love is our first collection of “world shards” for Vampire: The Requiem, different mixes of setting and rules to present a variety of Vampire worlds conducive to paranormal romance. Archmasters pass a threshold in knowledge and power – the great secrets are just this far from their grasp. But mages exposed to greater secrets know that the quest and its goal are one. Think of observation changing the object in pop culture quantum physics. The way you investigate secrets changes those secrets, and at the apex of power, changing those secrets changes the universe – and might break it. Imperial Mysteries is a Mage: The Awakening book that digs into what happens to mages who transcend to the highest level of mystical power, including mechanics for Arcana at 6 dots or more. House Divided is a four-part series of interlinked Storytelling Adventure System stories released every quarter. 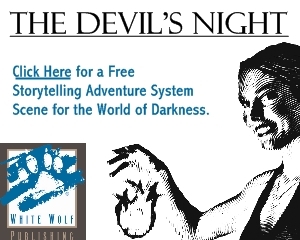 Each story is suitable for all of the World of Darkness gamelines. Each story will be designed to be complete in and of itself, but the larger story is revealed if you play them all. Many hate and revile them, yet none turn away from their visits. They are members of the Guild, a mercantile organization whose caravans and trading ships cross the face of Creation. They care not for the will of princes or Exalts, but only for profit. Some despise it, while others idolize it, but in truth, the Guild cares not if it is loved or hated, so long as those who do business with it pay their bills in full. Masters of Jade details the Guild, the greatest of the world of Exalted’s merchant organizations. It will update the classic Manacle & Coin supplement to Second Edition, including new details of the Guild’s structure and methods – and of its abominable trade in addictive drugs and slaves. Similar to the Vampire Translation Guide (a Platinum seller on DriveThruRPG.com), the Werewolf Translation Guide will be a guide to help translate the feel and core elements of Werewolf: The Apocalypse and Werewolf: The Forsaken into the opposite game system and background. as providing new rules to enhance covenant play. Ever wanted to play a space opera game with an Exalted flair? Or a modern game with massive swords and crazy martial art stunts? Shards of the Exalted Dream offer a variety of settings and genres for use with the Exalted system, much like the “shards” first presented in World of Darkness: Mirrors. Our latest game line for the World of Darkness, Mummy will be developed using an open process in which the community can see the progress of the game and contribute, and released as a virtual box set. Continuing the tradition from The Grand Masquerade 2011, the Werewolf 20th Anniversary SAS will be a new Storytelling Adventure System story written by White Wolf specifically for the Wrecking Crew’s use at the Grand Masquerade, and later released as a PDF for sale through DriveThruRPG.com. The first supplement for the new Mummy game set in the World of Darkness. An update and expansion of the Scroll of the Monk, providing new martial arts for Exalted characters. Completing the trilogy started with the Vampire Translation Guide and the Werewolf Translation Guide, the Mage Translation Guide will offer advice on how to translate the feel and core elements of Mage: The Ascension and Mage: The Awakening into the opposite game system and background. The second supplement for the new Mummy game set in the World of Darkness. White Wolf, working in partnership with DriveThruRPG, is now offering Print versions of both our newest PDF products and our vast library of previously published books. The following listings are just the tip of the iceberg and we’re working feverishly around the clock to make every single WW book available in this format. Please feel free to contact either Rich Thomas at RichT@white-wolf.com or Eddy Webb at Eddy@white-wolf.com. During GenCon we will be tweeting where we are and what we’re up to, so follow us and drop in wherever we are. We might be at the DTRPG booth, we might be at one of our panels, but let’s face it: the odds are we’ll be at one of Indy’s delightful drinking establishments. Drop by and tell us about your characters. WW PDFs and Now in Print books are available at DriveThruRPG.com. I have the strange feeling that the Imperial Mysteries book is going to be utterly terrible, and contradict both the wider setting assumptions and a large part of what makes Archmastery cool. By the way, Tome of the Mysteries should be a priority to get in print, as it’s basically required reading if you want to run Mage: the Awakening. Very exciting news! I’m a happy camper. That looks like an awesome lineup of new WW stuff! Absolutely excited. Secret of the Covenants and Imperial Mysteries are definite pick ups for me as well as Mummy. I’m going to be gnawing my nails just waiting for the teasers. W20 is like a class reunion for me. I’ve been with WW since 92. WtA has been one of my favorite games since forever. Love what I’m seeing. 1.) any idea when Testaments of Longinus will be PoD? 2.) Same question with Tomes of Mysteries. Gave my copy to a friend and can’t find a copy that isn’t trying to steal my wallet. ToL debuted at GenCon last week in print and should be hitting store shelves soon. It will also be up on DTRPG in print within a week or two. We’re sorting out the nWoD out-of-print titles and getting them added to the production list. As you can see above, some of them like Second Sight are already in print on DTRPG. Any idea if the Print of demand version of Requiem for Rome include the errata? Yes Victorian period is the top. I would like much to see a Victorian Vampire and Victorian Mage too.